The 2019 NCAA Tournament Schedule will be announced on Sunday, March 17th, 2019 during NCAA Selection Sunday that’s broadcast on CBS. The event show airs after all the NCAA conference tournament games have been completed and the automatic bids are set. The mysterious NCAA Selection Committee will then choose the seeds and bracket match-ups on that Sunday. 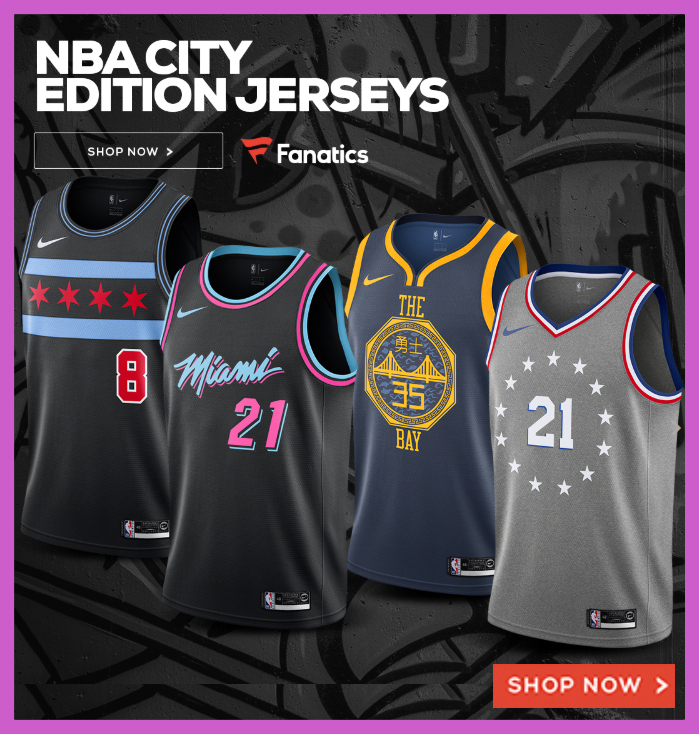 Surely, they’ll come into that day with an idea of which teams are the top seeds, but will lay it out and hand over their at-large teams and the final bracket to the television station. CBS then announces those games on the CBS Selection Sunday show. Those games will then have their official dates and times for their first game of March Madness. Even before the games, you can download our printable version of the official 2019 schedule here. The First Four will kick off on Tuesday and will be played in Dayton, Ohio. Tournament pay will continue in single elimination format until there are two teams left to play in the NCAA Championship game in early April. Here’s the schedule for those play-in games. The NCAA Tournament officially kicks off with the First Four at the University of Dayton Arena. The games will be played on March 19th and March 20th, 2019, and they will feature the overall lowest four ranked at-large bids against the lowest four teams receiving automatic bids to the tournament. All of the First Four games serve as “Play In” games for the first round of the NCAA Tournament. This round is where the Madness in March Madness comes into play. The 64 seeds will play in this initial round of the tournament will be unknown until the final March Madness Bracket is released. You can download the updated March Madness bracket from our site to help you follow the action over the next several weeks. The second round halves the 64 teams into a 32-team bracket before being halved again. Click here to download our fillable 2019 NCAA tournament schedule (PDF). This next found of March Madness is broken down into four regions. Known casually as the Sweet Sixteen and Elite Eight, these match-ups will eliminate twelve more teams and will determine the last four teams of the 2019 March Madness tournament. This is the last destination that the college teams will fly to (or drive depending). This years Final Four and NCAA Championship game will bring fans from across the country to Minneapolis, Minnesota to view the final three games of the tournament. On April 6th, the four teams will play two intense games to determine the NCAA basketball finalists. 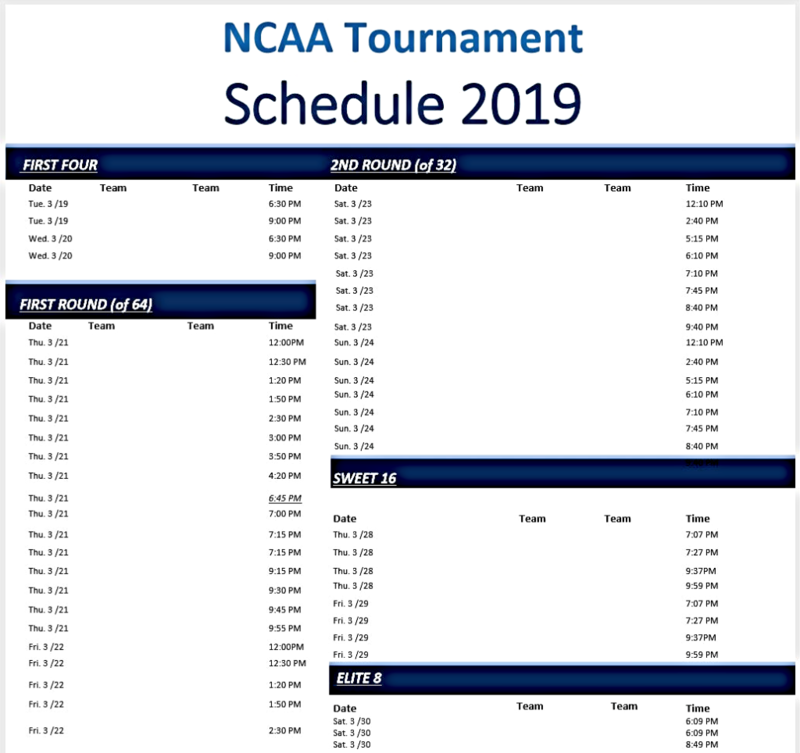 Click here to print out a PDF version of the 2019 NCAA tournament schedule. The 2019 NCAA Men’s Basketball Tournament Championship game will be played on April 8th, 2019 at the S. Bank Stadium in the state of Minnesota. The winner of the final game of the tournament will no doubt be overjoyed that their team will be forever remembered as the 2019 NCAA Men’s Basketball Tournament champions. That will do it. On the evening of Monday, April 8th, 2019 — we’ll have a new NCAA Champion (and another One Shining Moment). If you would like to download a fillable 2019 NCAA Men’s Tournament Bracket, feel free to download and fill out ours. The team that comes out on top will join the likes of Duke, North Carolina, Florida, Connecticut and Villanova to have won an NCAA tournament since 2005.